GREENSBORO, N.C. - As Florence moves across North Carolina, we're monitoring social media for the posts that give you a clear picture what life is like on the ground. This rescue happened at an animal shelter where more than 120 animals were also rescued. Hurricane Florence update: due to the fully saturated ground and the fact that the tallest oak tree leaning over the top of the house is in questionable health, living room downstairs is now the bedroom for the next few nights. Decidedly so after hearing trees in the forest across the street come crashing down an hour ago. Sharing a fear of so many, this poster is sleeping downstairs on an air-mattress to avoid falling trees on the second floor. Check out the power of that wind in Apex. What a giant storm when you see it from space! Turn the sound on to hear that wind and water! Remember the people risking their lives to help us have families at home too. A reminder everyone should hear. Will your favoriate places still be there after the storm? 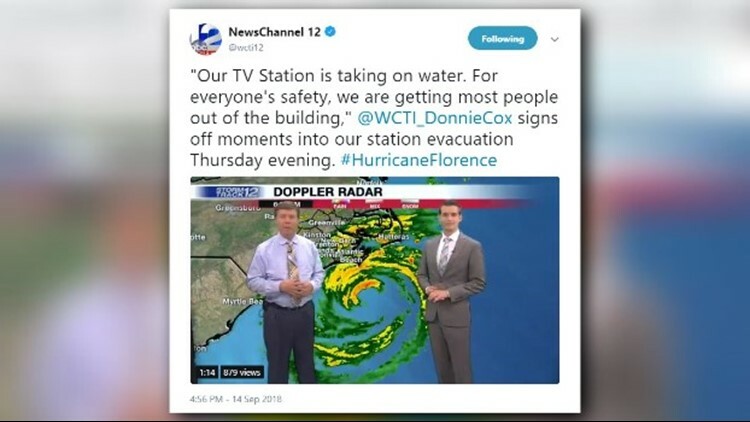 Down South, they have a diffrent take on Florence.